Temasek’s buyout offer is sort of a back door nationalisation for SMRT because Temasek is an exempt private company belonging to the government. Temasek uses tax dollars and reserves for its investments and its board of directors are government appointees. Control by Temasek ultimately means control by the government. The main concern of nationalising SMRT is it will then be accountable only to Temasek and unaccountable to the public or Parliament. Although the stated objective of Temasek’s buyout offer is to allow SMRT to “focus on improving services”, this is unlikely to happen for obvious reasons. So long as SMRT does not have any competitor and continues with its policy of employing incompetence at the highest level, services can only continue to decline. According to one Bloomberg article, the reason for SMRT to undergo a reform is due to “multiple service disruptions in the past few years”. In short, SMRT screwed up big time and taxpayers will be footing the bill. Can any screwed up organisation magically improve its services by becoming non transparent and unaccountable? But what’s more troubling is the sequence of events which suggest Temasek’s buyout offer, or commuters being sold out, had been in the pipeline for some time. July 20 – Temasek announced buyout offer. Is it purely coincidental that Temasek took only 5 days to decide on a $1.18 billion deal and it will be buying acompany with $762 million debt recently paid by taxpayers? There is definitely more than meets the eye. Like Khaw, I also have no inside information on whether that is true or not, but it’s possible. Parliament should ask the relevant questions because SMRT was already privatised in July 2000 and will soon be nationalised. 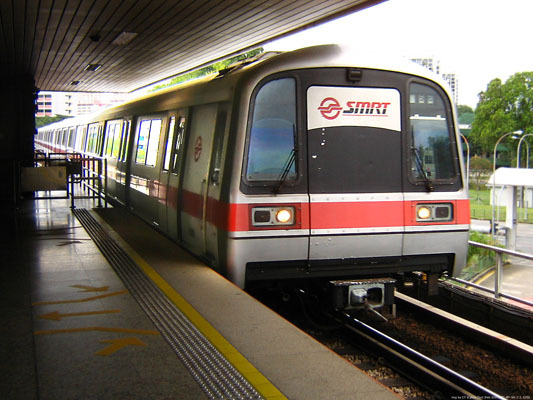 Without debt, capital expenditure and maintenance costs to worry about, SMRT will morph into a company managing rental of super prime properties and marketing advertising space. 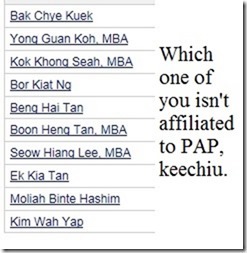 Why should such a “pow chiak” company be handed to Temasek on a silver platter? SMRT properties collectively belong to every citizen. Why should guaranteed rental profits of SMRT properties increase Temasek’s return at the expense of commuters? The nationalisation of SMRT will produce only one winner which is Temasek with taxpayers and commuters the losers. Temasek will then be able to call all the shots, perhaps, employing more unqualified ex military personnel, paying them million-dollar salaries, etc. As if bad service wasn’t enough, the government now wants to have a totally-opaque SMRT accountable only to Temasek. Are we supposed to believe this is in taxpayers’ and commuters’ interests? There are too many unanswered questions surrounding Temasek’s buyout offer, ie nationalisation of a PTO, which a responsible Parliament needs to answer. Republished from the blog ‘likedatosocanmeh‘.